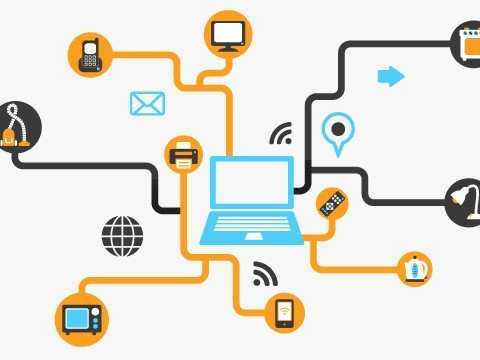 Internet of Things – information networks that are built into physical objects and connected to internet servers. When devices access the internet and talk to each other, this is the internet of things (IoT). Data transmits automatically and wirelessly from these objects, devices, or things. McKinsey & Co. notes that as a result of this proliferation, the physical world is becoming a type of information system. Objects in the internet of things can both sense the physical environment and respond to it. While the term has been used since the early 90s, its use has exploded in recent months as the number of connected devices grows exponentially each year. New examples of connected devices can be found on manufacturing floors, in energy grids, healthcare facilities and transportation systems. The next step is figuring out how to process and make meaningful all of the data that is generated from these countless devices. Smart people are working on that. As building automation systems advance there are more devices within buildings that are accessing the internet and communicating wirelessly. Our task is to make sure that we can capture and monitor all of that data and use it to make energy efficient, smart business decisions.